Twitter user Roger Wardell is known for posting a ton of inside Marvel movie news, and I thought it might be fun to discuss some of the things that he's revealed. His most recent posts include information for The Avengers 2 and Captain America 2. You might consider some of these claims spoilers, but there's no confirmation on them so I think it's fine to use them as discussion pieces. Inside News: The Masters of Evil will feature in The Avengers 2. 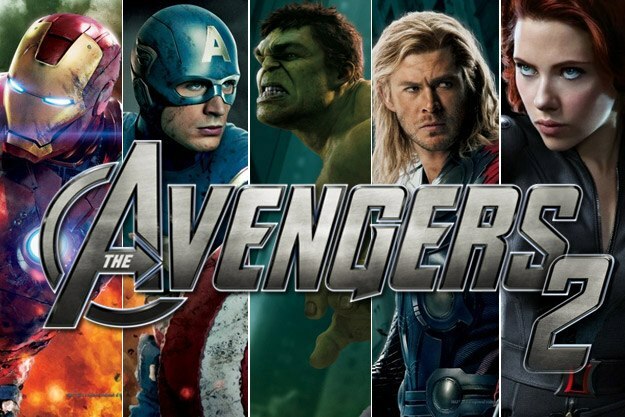 Inside News: The Avengers was about assembling to save the world, but in Avengers 2 the team will be assembling to save themselves. It will be interesting to see who from the Masters of Evil they actually end up using, if they use them. For more information on The Masters of Evil head over click here. Who from the Masters of Evil would you like to see in The Avengers 2? Inside News: Captain America 2 will feature flashbacks of Black Widow's past and her complicated relationship with the Winter Soldier. We previously heard that Black Widow would return for the sequel. If you've read the comics then you know that there's a history between Winter Soldier and Black Widow. It will be great to see and explore that history in the movie. Their past definitely was complicated. Winter Soldier helped train her, they had a little thing going at one point, and then ended up fighting each other. This is sure to make a great story arc in the film. Would you like to see Black Widow and Winter Soldier's back story in Captain America 2? Will Iron Patriot be in AVENGERS 2 and CAPTAIN AMERICA 2?